Consumer goods companies must make faster and smarter decisions to compete in today’s marketplace. As buyers’ tastes change, brand loyalty becomes difficult to maintain. The rapid growth in new or evolving brands puts shelf space at a premium and squeezes the margins for many product categories. Online shopping makes it easier for consumers to know details about how companies determine their price points and enables them to shop around and compare. To compete successfully, companies must act quickly and make better decisions based on an accurate analysis of available data. Neubrain’s Consumer Goods Analytics solution uses customer segmentation techniques to conduct an accurate analysis of the products that high-value consumers buy and why they buy them. These insights guide your decisions on product development and promotions, drive consumer awareness, and influence customer preferences. Our solution uses both historical and real-time analysis of product sales performance, promotions, pricing, and competition, giving you control over your value chain and, ultimately, defining your strategy for success. 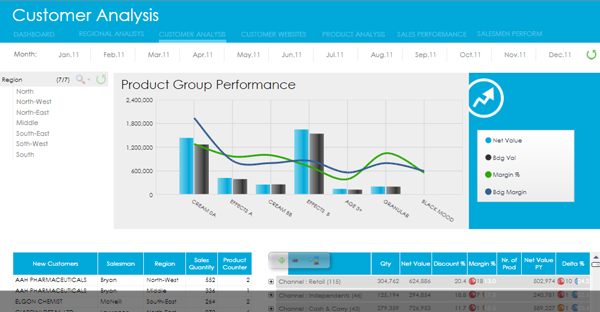 Our Consumer Goods Analytics solution combines into a single framework all the capabilities you and your team members need to manage and support analysis and planning processes. 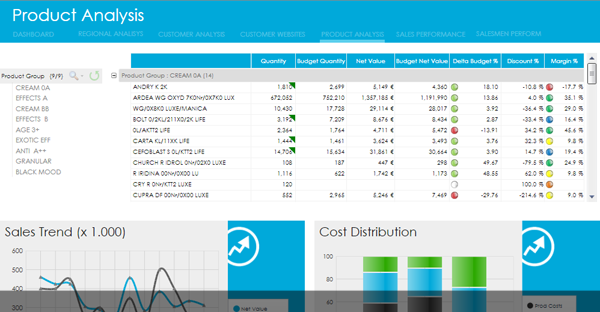 By using our solution, your team members can readily identify your most profitable customers and most reliable channel partners, speed up product innovation, conduct merchandise planning, optimize supply chains and pricing, manage potential market risks, and identify the true drivers of financial performance.